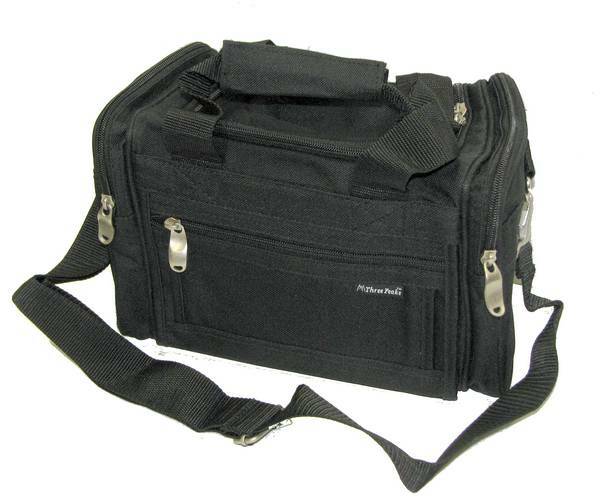 Three Peaks Range Bag, Black, 10"x5" Small Size. 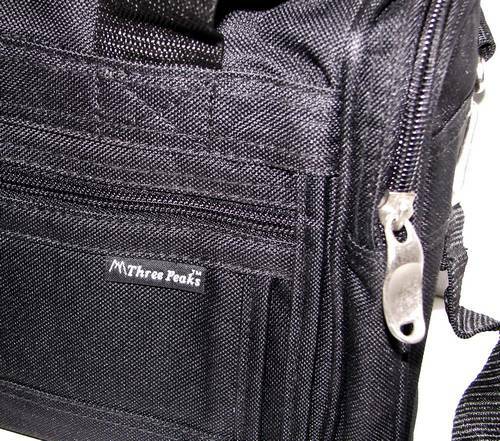 Three Peak small range bag, approximately 10x5 inches. 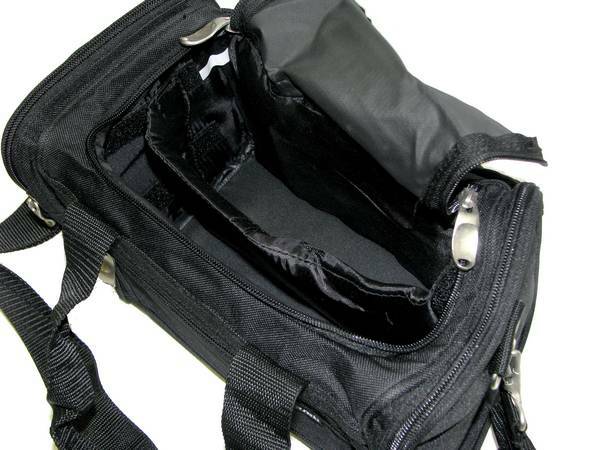 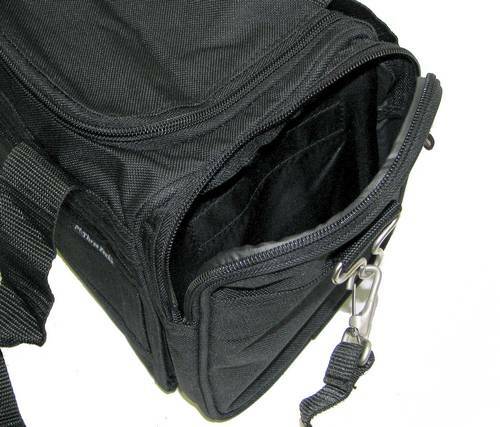 Black nylon, with two end pockets, one large middle compartment with a divider, and one side pocket, with a shoulder strap and heavy duty zippers.